A young woman, searching for answers â€¦. A man, trying desperately to remember what he has forgotten â€¦. Come back â€¦ back to the mythos, passion, and magic â€¦. From multiple award-winning author, Linda Watkins, comes the eagerly-awaited sequel to her highly acclaimed novel, MATEGUAS ISLAND! "The use of lore and characters from Native American tribes is rendered beautifully, with the honor and respect so often overlooked in contemporary books ...Though itâ€™s the second in a trilogy, this tale has a satisfying beginning, middle, and endâ€”a journey readers wonâ€™t soon forget and one they will want to continue until all their questions are answered" ~ Julie York for InD'Tale Magazine, February 2016. 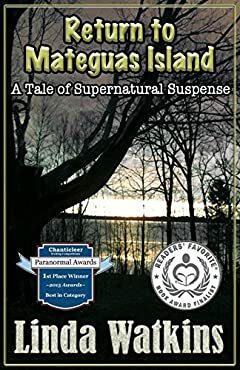 RETURN TO MATEGUAS ISLAND is the second full-length novel in the MATEGUAS ISLAND SERIES.